Be able to get head turns! This try of fashion earrings has been assault the bottom metal of brass layer with small gold plating, wonderful in style. Be ready to get head turns! This pair of fashion earrings has been set on the base metal of brass layer with micro gold plating. 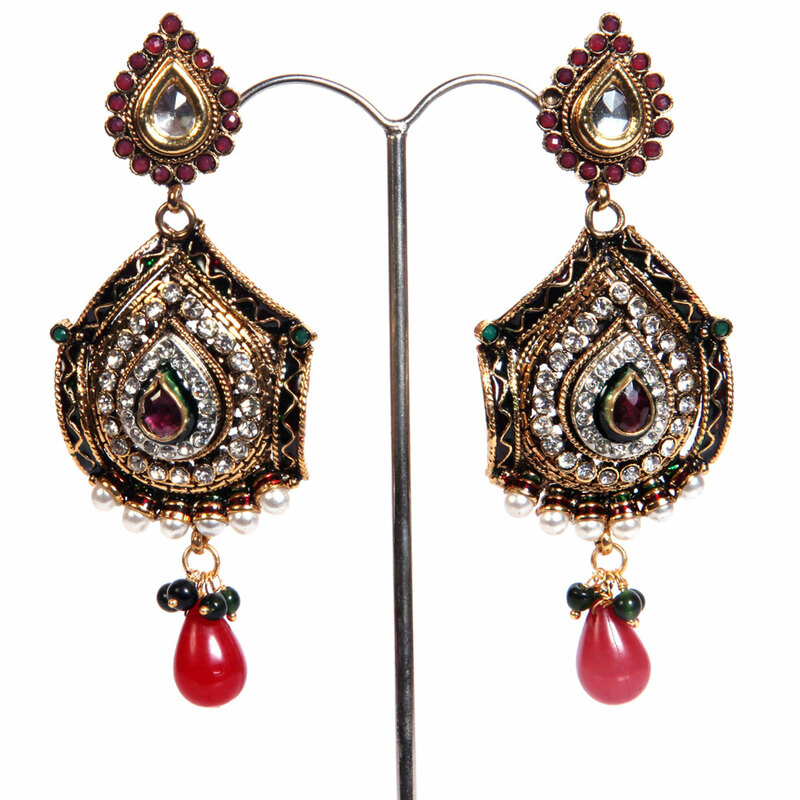 Read More..The traditional design of the earrings is further highlighted by the various beautiful bead works along with the ethnic arrangement of red drops and white CZ stones. Show Less..